We head into a weekend without football and I have to say I hate the idea. We have to wait until 7.45pm on Monday night to see the Gunners in action. I don't like the day or the kick off time much - an FA Cup game played on Monday evening doesn't seem right to me. But on the other hand it does allow us more time to recover from our four games in 12 days. One person who is taking full use of the time between the Fulham game and our trip to Swansea next weekend is Robin van Persie who has been allowed to leave London for warmer climes, according to the Daily Express. The manager has already said the Dutchman won't play in the Leeds match, so has allowed him a sunshine break for some relaxation time and recuperation. Personally I think it's well deserved time off. Who would have thought the Dutchman would have started in all four of our league games over the festive period, 18 months ago? I don't think any of us would. With RVP out of the picture, the manager says he hopes to be able to play Marouane Chamakh. But it is all down to the Moroccan FA whether we're allowed to start him in Monday's game - The Times report he's been given permission to delay his departure until Tuesday. Already Wenger has had to axe Gervinho from the FA Cup squad because the Ivory Coast want all their players to report for duty tomorrow. We've also got Ju Young Park, the South Korean player we signed in August. Park has not been seen in an Arsenal shirt since November 29 when we played Manchester City in the Carling Cup, although he did warm the bench seven days later in Greece when we played Olympiacos. It's not his fault he's not been picked - that's down to the manager. If he's doing everything right in training but Wenger doesn't have confidence to start him, there isn't much Park can do about it. The manager has said he will pick a strong side for the game, which we must win at the first opportunity and not allow it to go to a replay. We saw how being forced to play a replay effected our January last season when we ended up playing nine games. "[I will play] a strong side, a normal side. Maybe one or two will be rested, but apart from that I think we will still have Marouane Chamakh. 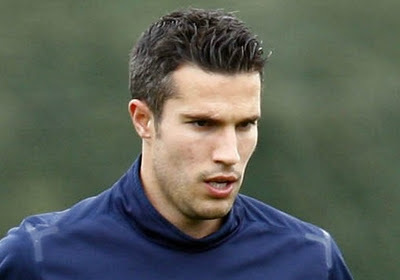 "Robin van Persie will certainly be rested for this game. We will hopefully have Chamakh available, [Ju-Young] Park available. "Gervinho will maybe miss the game because they [the Ivory Coast players] have to turn up 14 days before the [Africa Cup of Nations] tournament starts." The early team news is as expected really. We're without Johan Djourou who is suspended for the game following his sending off at Fulham. Thomas Vermaelen won't be ready in time to resume a place in our defence but the manager has been handed a boost as the Belgium international should be fit to play at Swansea next weekend. All the full backs remain out of action with the closest available to return being Bacary Sagna and Kieran Gibbs, but that won't be until the end of the month. There is still no news on our re-signing of Thierry Henry. There is a deadline of noon today if Wenger wants him to play on Monday night. It seems we're taking this deal down to the wire. There seems to be no good reason as to why the paperwork on a deal two of the three parties involve want to happen has not been completed. And if Henry is coming back for just a short period, it seems ridiculous that he might not be able to play in one of the games we need to have him available for. Let's hope that everything is done by noon (7am New York time) because it would be great to see him, even if it is just a cameo from the bench, on Monday. The manager faces the media later, so I'm hoping we'll find out then exactly what the situation is with Henry. "At the moment nothing, we don't have a concrete case but we don't rule it out. [A loan defender is] the likely scenario, yes. "[I am expecting a] quiet [market]. Europe is depressed and there is not a lot of money available, only some clubs who have exceptional resources. Let's say that clubs who are not linked with the economic environment at the moment can buy!" For a man with £50m available tot spend, he doesn't seem keen to get the cheque book out even though we can all see we're in desperate need of reinforcements. Let's hope he can pull something out of his magic hat before the end of the month.